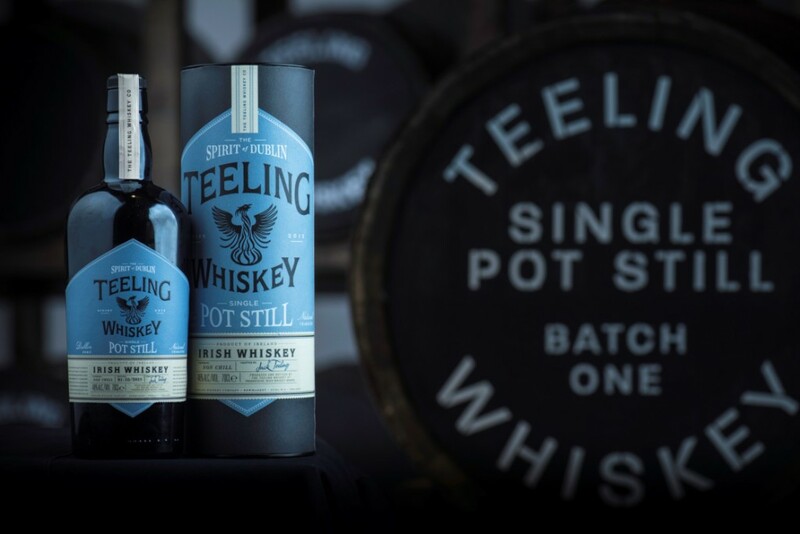 Teeling Whiskey has released its Teeling Single Pot Still Irish Whiskey. Teeling Single Pot Still is the first new Dublin distilled Irish whiskey to be released for nearly 50 years. This first commercial release of Teeling Single Pot Still Whiskey is produced from a recipe of 50% un-malted barley and 50% malted barley. This release was distilled in 2015 in the Teeling Whiskey Distillery and aged in a range of virgin oak, ex-bourbon and ex-wine casks. Batch 1 of the Teeling Single Pot Still was bottled in October and is limited to 6,000 bottles. The Teeling Single Pot Still Irish whiskey 70cl bottle comes in a gift tube and is bottled at 46% abv with an SRP of €55.00.